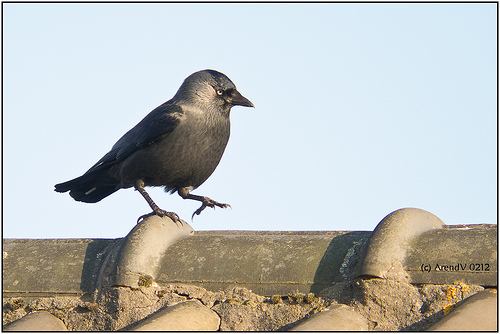 In books, Jackdaws are often tame, but that is only rarely the case, and only if they were raised in human company. They are very social birds and in groups they will defend each other fiercely against enemies. 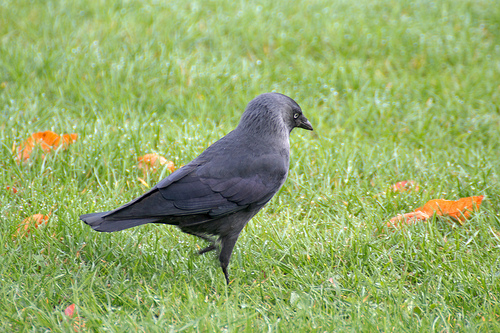 The Jackdaw is much smaller and has greyer parts on its body. Also, the beak is much smaller.